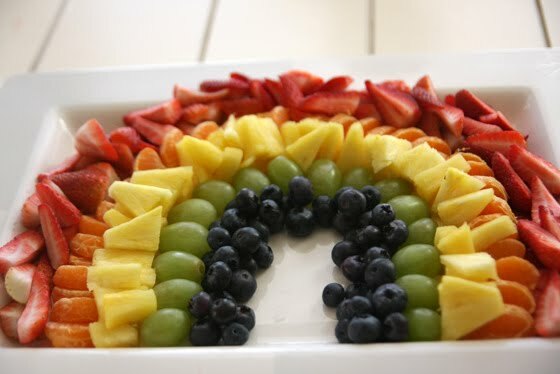 Tangled and True: fruit rainbow. We had a St. Patrick's day BBQ a little early this year. The fruit rainbow was a fun addition. you always have the best ideas. this looks great. i wish we were having a st patty's day dinner. well we will eat dinner of course but i mean with friends, etc. That looks so good and healthy! And it is so pretty too.